Rain, rain go away, come back another day - unless you have these adorable Zoogs waterproof boots - then the rain can stay! patterns. From jumping in puddles to building a snowman to spending the day at the beach. That's why Zoogs is the brand to choose for your little cutie's feet, all year bnd. Zoogs Rainboots Sell Out Quickly, So Don't Hesitate and Buy Now While Stock is In! 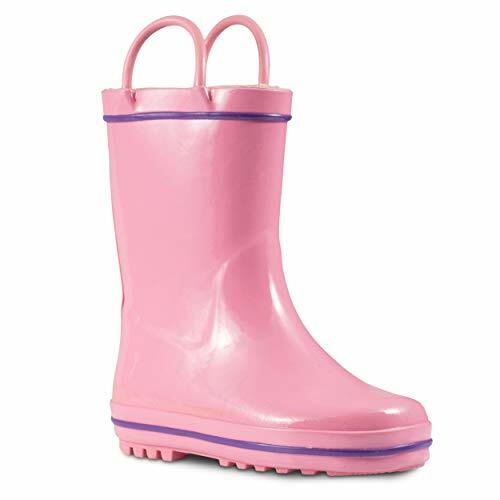 KIDS RAINY DAYS STYLE: These rainboots are available in many adorable bright colors and patterns for boys & girls to choose from: Pink, Red, Green, Blue, Yellow, and Fuchsia. Easy to style with any clothes he/she is wearing for the day! With these rain foot wear, your kids will love to splash on puddles while their feet stay warm, dry & cozy. On wet rainy days, kids can finally go out and play even when it's cold and raining. DESIGNED FOR KIDS' ENJOYMENT: Every child needs to play and have fun in the rain at least once in their life. Rainy days are sure to give them the "happy feet". Zoogs, the perfect boots for kids; have designed for the little ones these boots to enjoy, even in the most humid weather, freely and most of all, safely! More fun for the kids, less worry for the parents. Zoogs Rain boots are popular among parents, so don't hesitate & get one for your child too! If you have any questions about this product by ZOOGS, contact us by completing and submitting the form below. If you are looking for a specif part number, please include it with your message.